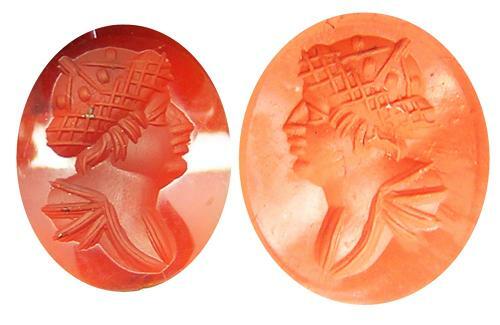 This is a Classical Revival hardstone intaglio, dating to the 18th - 19th century. It is cut with a portrait of Hermes (Mercury) wearing a petasos. Such an intaglio would have been hung on a fob seal, by a gentleman possibly purchased on a Grand Tour.